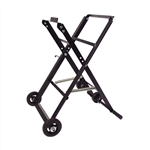 The stand collapses and erects in one easy step and can double as a dolly for easy relocation. 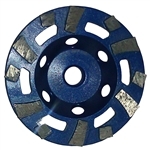 The Vari-Cut Cup Wheel is a combination tool to provide one of the faster removal rates on concrete, masonry and stone materials with good life. Total segment height is .200" diamond segment. 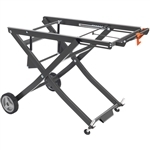 The Husqvarna Fixed Leg Stand fits Husqvarna TS 70 and TS 90 Tile Saws.